Family connected, sleep perfected! SleepIQ® technology can show you how the whole family is sleeping! Learn more about SleepIQ Kids™, and enter for a chance to win a Sleep Number® bed of your own! 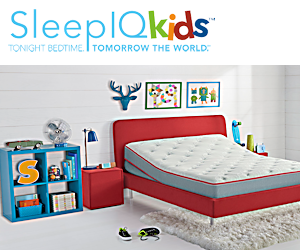 The Sleep Number® SleepIQ Kids Sweepstakes (“Sweepstakes”) begins March 31, 2015 at 12:01 a.m. EST and ends June 30, 2015 at 11:59 p.m. EST (“Sweepstakes Period”). The potential winners will be drawn and announced at the end of the Sleep Number® SleepIQ Kids sweepstakes on July 1, 2015. Winners will be contacted within 10 days of drawing through the email address entrant provided on entry form. 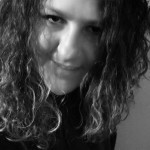 Potential winners will also have name or Twitter handle announced on Facebook.com/SleepNumber and/or Twitter.com. **One entrant, selected at random, will win a Queen Sleep Number® p5 bed with SleepIQ® technology.